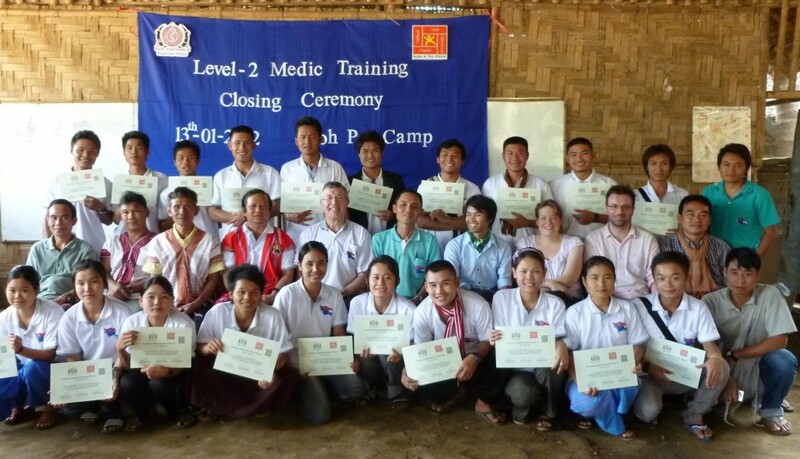 A growing number of skilled volunteers from the UK have given up their time over the last 8 years to train medics, dentists and midwives with the skills needed to relieve suffering and to care for vulnerable people in isolated and high-risk areas. Responding to the overwhelming need, Dr Stephen Nash (founder of Hope4TheWorld) has been taking volunteer training teams of doctors, nurses and dentists into the jungle since 2002, believing that the best way to tackle the extreme lack of medical care was to train local recruits as medics. In 2011, we have supported 26 second level students to undergo their medic training, who will be manning the 32 ‘mobile health clinics’ in the region. We have now pledged to fund the students for their third, more advanced level of training.